Drink water reminder reminds you to drink water in time! 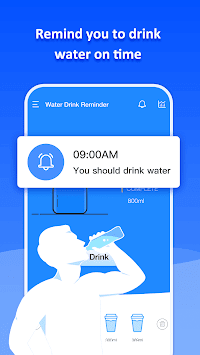 Drink water reminder APP can remind you and the right water at the right time to help you develop good drinking water habits, make you strong immunity, release stress, and get rid of fatigue after work. . . Drink water reminder APP is a great app to remind you to drink. The power of drink water is that you can improve your immunity by release drink water regularly every day, releasing work stress and getting rid of fatigue after work. Download the Drink water reminder app to help you develop good drinking water habits. Water Reminder is your loyal drinking water companion. Drinking water reminds you to drink water in time. 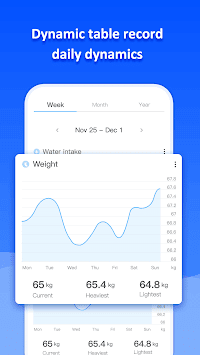 The daily intake record function records your drinking water status. You can rewrite the influent record. You can customize your drinking cup according to different capacities. Drinking Water Reminder - Remind you to drink the right amount of water at a reasonable time, and urge you to drink water to enhance your immunity. 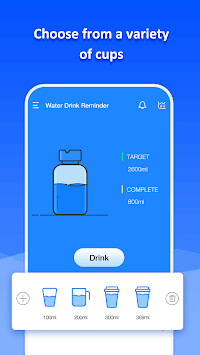 Drink water reminder is at your side to help you calculate how much water you need and to remind you to drink on time. Record your daily water intake and remind you to drink water to boost your immunity.